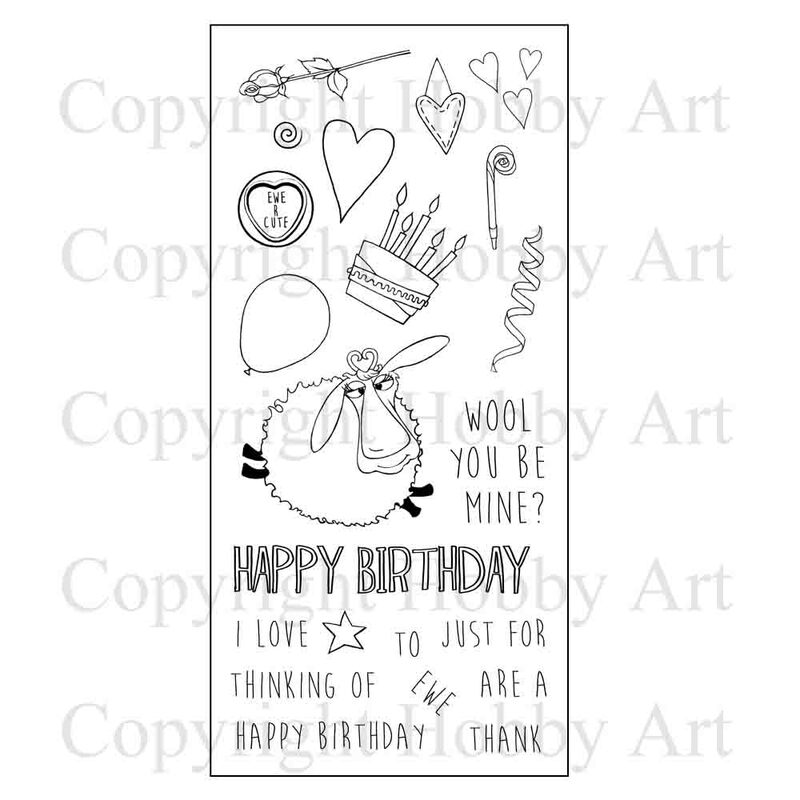 Thinking of Ewe Hobby Art Clear Stamp Set - Stampers Grove is a webshop and mobile craft shop. Following the very popular 'Baa-Humbug' stamp set. CS122D 'Thinking of Ewe' Clear set contains 22 stamps. All these accessories work along with the original Baa-Humbug. Overall size of set - 100mm x 260mm approx.The Hobby Art clear stamps are made with photopolymer resin.